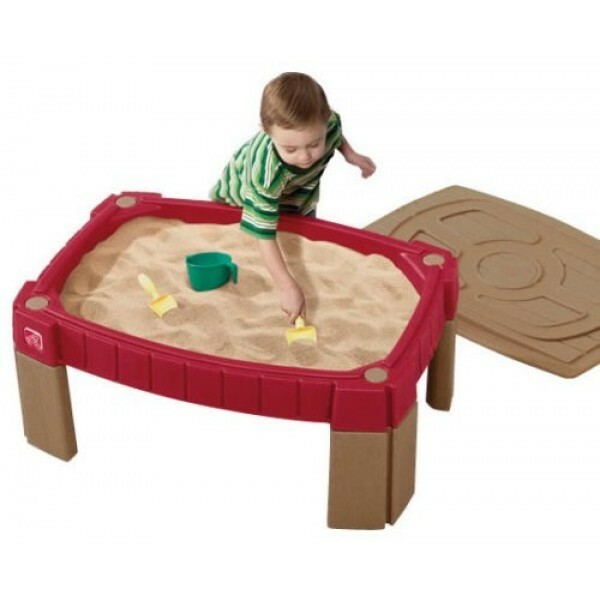 Playing with sand at the Step2 Plastic Table (759400). 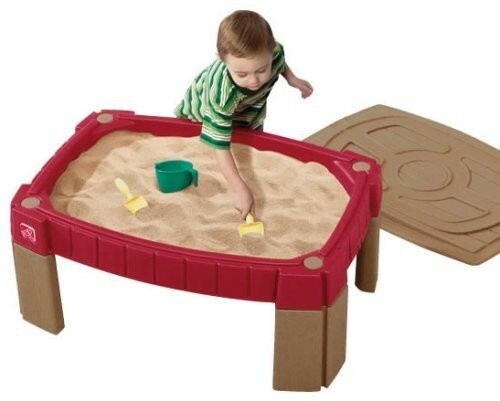 This raised sandbox helps children stay clean. With lockable lid to keep insects and pets out of the box. 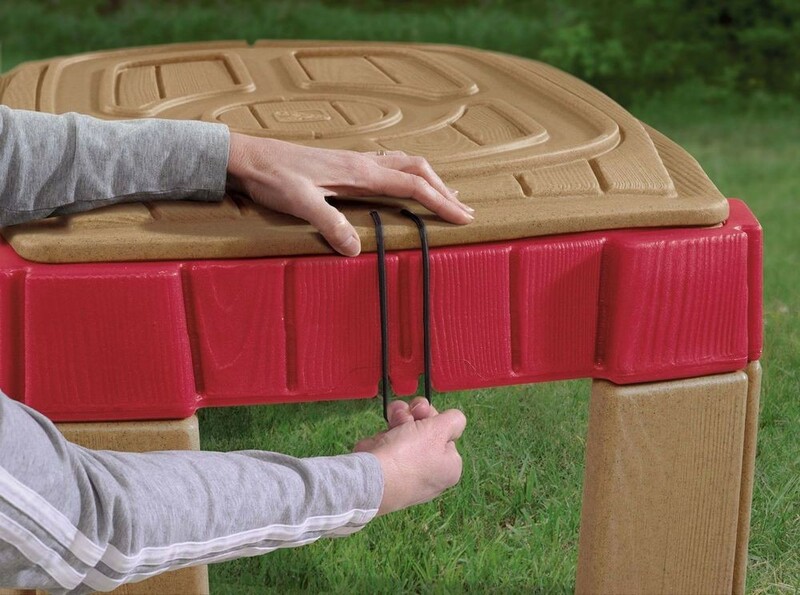 The lid has a cast-along 'racetrack' for even more fun. 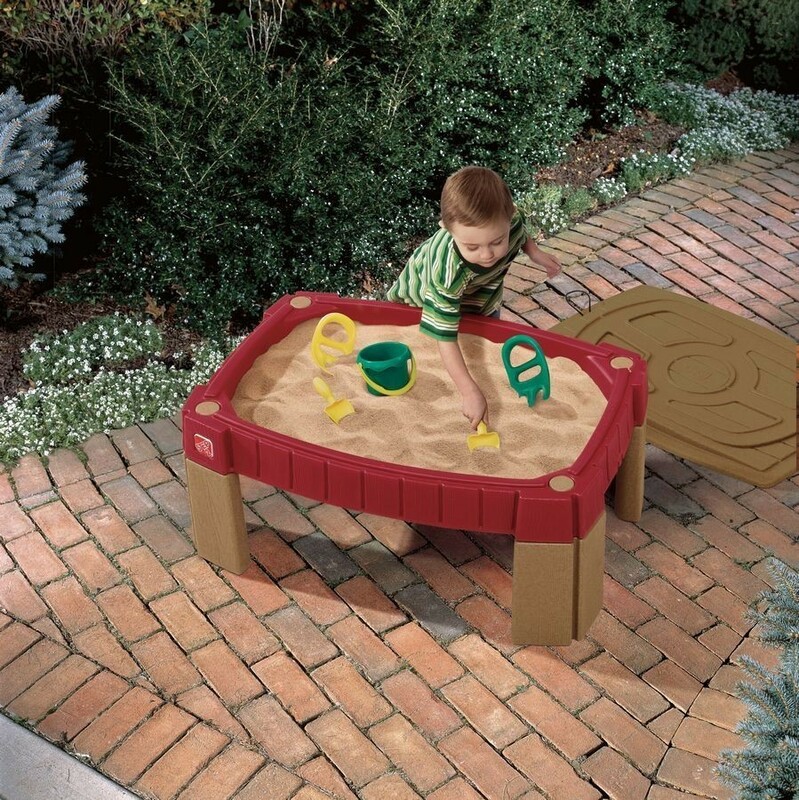 The sandbox can hold 18.2 kg of sand (not included). Dimensions: 42 x 81 x 66 cm. Step2 designs and produces fun and educational products for children from 9 months to 10 years old. For inside and outside, for playing and learning. Step2 products are innovative and offer years of fun. In the first years of life it is important that children develop in motor skills and in social aspects. 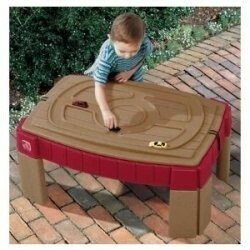 With the active fun of Step2 children learn to play and share together in a playful way. 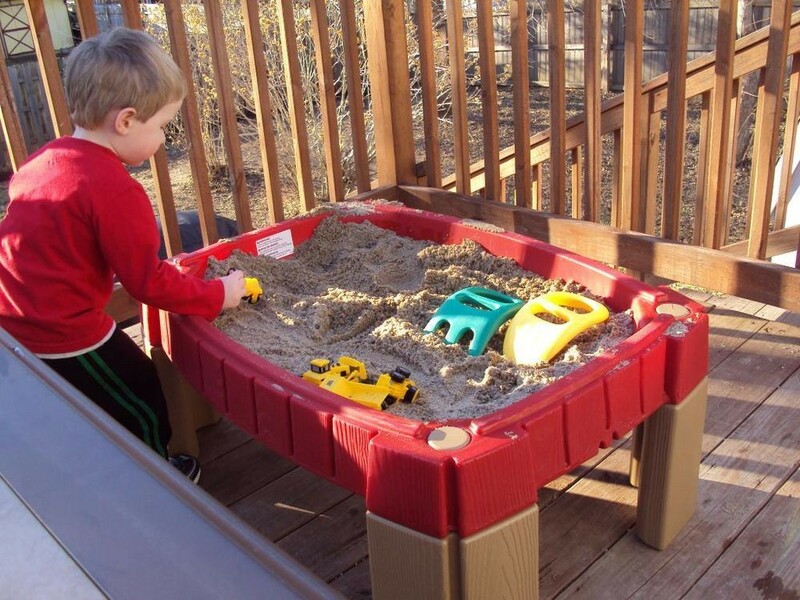 Active play is educational & fun for the children. In addition to sufficient movement, laughter is also very healthy.